In Austin, the terms "Mexican” and “Tex-Mex” are often used interchangeably to describe the same cuisine, and while this isn’t technically correct, it’s also not entirely wrong, especially as the line between these two popular cuisines becomes more and more blurred. Still, it’s worth calling out the local spots that manage to navigate Tex-Mex food beautifully, which is exactly what we’re doing here. For the sake of this cheat sheet, Tex-Mex refers to the carb-y, cheesy stuff of your hangover dreams (like enchiladas, queso, and breakfast tacos), leaving classics like cochinita pibil and ceviches for another time. 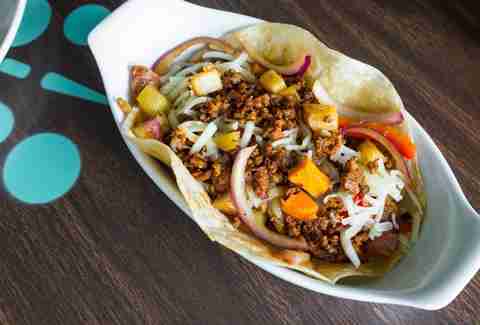 In other words, favorites like Licha’s and Grizzelda’s don’t quite fit the bill here -- you’ll find them on our Mexican restaurant guide, though. Now go forth, Austin; margaritas and a hell of a food coma await. For nearly 20 years, Habanero Mexican Cafe has been packing hungry patrons into its tiny dining room; neon beer signs and an analog TV add to the warm, South Texas, mom-and-pop taqueria vibe. The table hot sauce is fiery and flavorful, the portions are generous, and sides like Mexican rice and charro beans are welcome additions; we suggest ordering a sizzling fajita platter with all the fixings, carne guisada, gorditas stuffed with juicy picadillo, lettuce, tomato and cheese... even a basic chicken quesadilla is done well here. Although Habanero Mexican Cafe does not serve liquor (no margs, sorry) you can still get Mexican beer, horchata, fresh lemonade, and glass bottles of Big Red, Mexican Coke, and Topo Chico. Remember, Habanero keeps classic taqueria hours (7am-3pm) and is a cash only joint, albeit one with an ATM onsite. 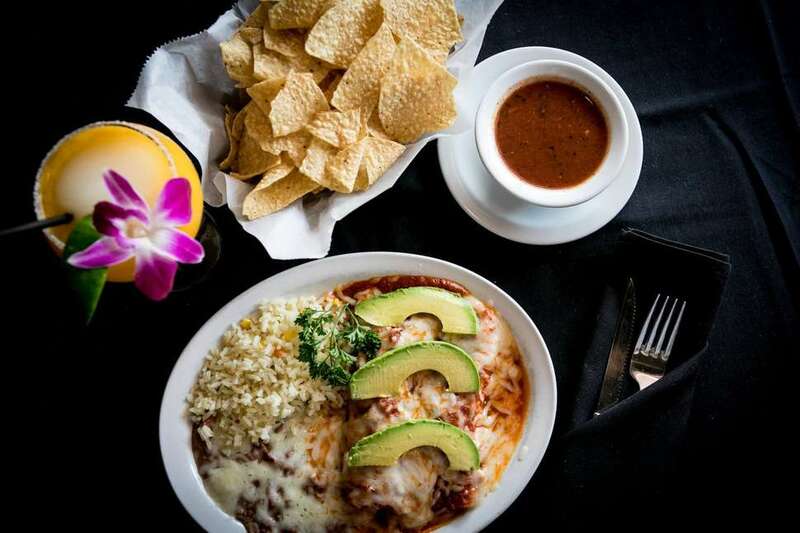 Valentina’s is much different from other great Tex-Mex spots since the focus is on BBQ, but we’d be remiss to exclude it as the fantastic food is among the best in Austin (regardless of cuisine). The kitchen takes breakfast tacos up many notches with the addition of thick, handmade flour tortillas and smoked BBQ add-ins made from super-high-quality meats -- Berkshire pork and grass-fed Angus beef. For lunch options, opt for brisket, pork carnitas, beef fajita, and pulled pork in between slices of bread or in a tortilla, topped with Valentina’s homemade salsas, guacamole, slaw, and BBQ sauce. Arrive early to get some of the insanely good charro beans and queso, which regularly sell out. 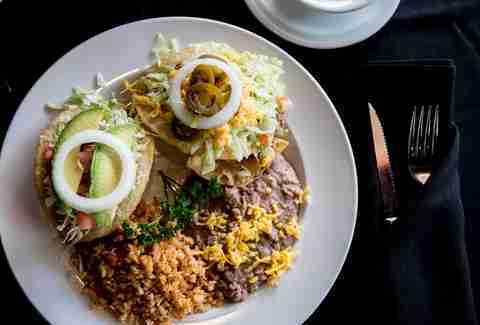 If you live on the Eastside, the chances are that Joe’s is your go-to for weekend hangover cures; the warm, puffy flour tortillas made in-house, soothing caldos, and never-ending black coffee have major curative powers. The family-owned diner has been around for decades and is regularly packed with people from all walks of life enjoying (in our opinion) the best breakfast tacos in Austin, food coma-inducing enchilada plates, menudo (also medicinal in nature), migas, and Joe’s famously crispy bacon, which gets dredged in flour and cooked on the flat-top grill. Arrive early for the best selection of baked Mexican sweet bread (aka pan dulce). Eldorado Cafe is distinctly different from our other picks; instead of a cozy mom-and-pop restaurant, you’ll find a funky, bright-colored diner with an eclectic menu including margaritas and craft cocktails. Puzchkas (fried dumplings) and crispy St. Louis-style pork ribs are served alongside queso, chalupa plates, and nachos compuestos. Eldorado Cafe can be tough to find as its tucked into a shopping strip near Lowe’s Home Improvement. It was admittedly a bummer when Vivo’s Manor Road location shuttered, however they later opened up shop in the Linc shopping center, so all is forgiven. And, while the lush patio might be gone, the kitchen's consistency and the impressive margarita and agave spirits list are as good as we remember. If you need something light, opt for the tortilla soup or fiesta salad made with crispy romaine, jicama, avocado, and sunflower seeds. Your guilty pleasure here will be the puffy taco plate, which rivals even the best in San Antonio (where it originated), especially when paired with one of Vivo’s unique margaritas; the Margarita Tamarindo (made with tamarind nectar) and Margarita Jamaica (with house-made hibiscus syrup) are two can’t-miss options! It’s admittedly easy to rag on Matt’s prices and popularity among the tourist crowd, but the story of success and endurance is impossible to deny. Matt and Janie Martinez opened Matt’s El Rancho downtown in 1952 -- where the Four Seasons Hotel is now -- and moved to its current location on South Lamar in 1986. These days, the hugely popular restaurant is synonymous with queso and margaritas; their famous Bob Armstrong Dip is a gooey delight loaded with ground beef, guacamole, and pico de gallo, and the assortment of margaritas are all shaken with freshly squeezed lime juice. 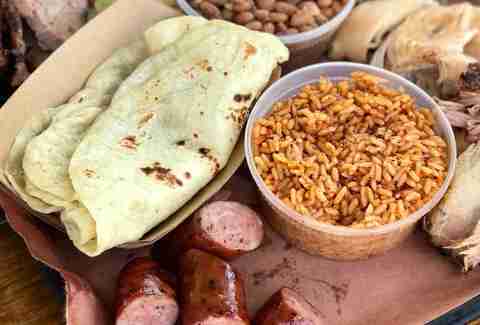 While the menu is satisfactory overall, and regulars rave about the brisket tacos and chicken fajitas, Matt’s is best experienced during happy hour on the patio with people you really like. Pro tip: Matt’s is open until 10pm or 11pm almost every night, so missing happy hour isn’t necessarily a dealbreaker. Between the ancient acoustic ceiling tiles and the exterior sign with a Chinese pagoda motif from a former tenant, this place is the epitome of a hole-in-the-wall Tex-Mex joint… it’s also damn good and very affordable. 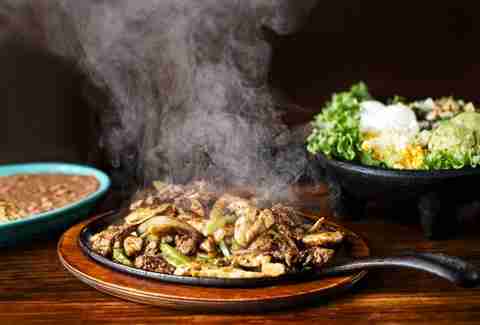 While the menu does feature some more traditional Mexican dishes (like grilled steak tampiqueña, spicy camarones a la diabla, and crispy milanesa), it’s predominantly made up of greasy Tex-Mex favorites. Regulars rave about the birria (spicy goat stew which originated in the Mexican state of Jalisco), as well as the chicken enchiladas verdes topped with tangy tomatillo sauce, and, because we’re in Austin, Borrego’s strong and cheap margaritas. Also not to be missed are the homemade corn tortillas, perfect for lighter tacos and for scooping up every last bite on your plate. Family-owned and operated for decades, Tamale House East has continued to grow in popularity even as the Eastside faces increasing gentrification. 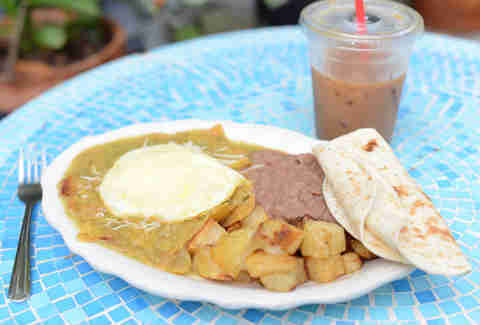 On weekends, the dining room is packed with neighborhood residents (old and new) ordering the intensely flavored Mexican iced coffee, chilaquiles plates loaded with fresh tomatillo sauce and over-easy eggs, lots of breakfast tacos, and, of course, tamales. There are plenty of gluten-free and vegetarian/vegan options, too, including mushroom enchiladas and veggie guacamole chalupas. The lush garden serves as the perfect setting for a happy hour margarita and shared bowl of queso. Handmade tortillas and tamales, stuffed avocados, micheladas, and even homemade key lime pie -- these are just a few reasons Tex-Mex Joe’s stands out among the pack. 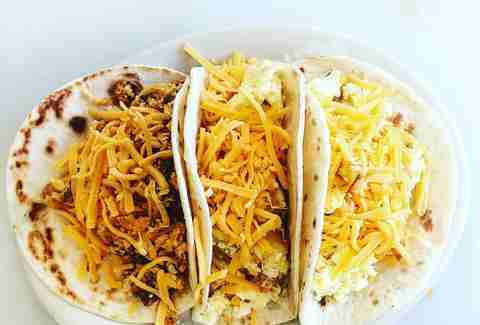 Breakfast reigns supreme here, with generously portioned tacos and a menu stacked with seven (seven!) types of migas; don’t miss the refreshing aguas frescas, either, with unique flavors like pineapple-cucumber and lemonade-chia. The cafe closes at 3pm everyday, which means you’ll wanna figure out your game plan early in the day if you want some of this sweet, breakfast-y Tex-Mex. Anastacia Uriegas is an Austin-based food/drink/culture writer who dreams of eating sushi made by Jiro. Follow all of her food and drink bucket list adventures: @anaurie.